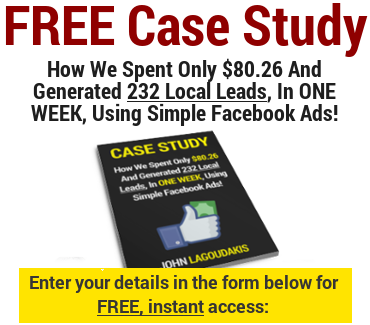 If you're new here, you may want to grab your copy of my latest FREE Local Facebook Ads Campaign Case Study, where I reveal how we generated 232 local buyers leads in just ONE week spending only $80.26! Bill Rader, President and CEO of Efferent Labs, shares with us his insights after decades of starting and selling several successful businesses… his first one at the young age of 18! FREE PDF Download - The Online Business Resource Report - All 84 Tools & Services I Use In My Online Business! 8:10 – What does the name ‘Efferent‘ mean? 8:45 – What does Efferent Labs do? 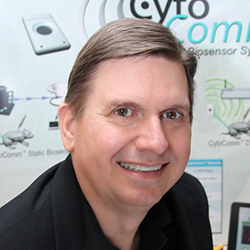 10:00 – How Bill got started in the healthcare industry? 17:50 – Where will Efferent Labs’ technology be used when it is released to the market? Bill’s first business was ultra successful because he was passionate about it. His second business was a huge failure because he didn’t understand it. Do what you love and are passionate about. Efferent Labs was born when Bill partnered with a specialist that he resonated with, and who had expertise that Bill would never develop personally. Don’t try to be everything and do everything yourself. Partner with, or hire, experts who understand your mission and have the same vision you do. John is a Top 100 Clickbank Affiliate and Australia's most trusted Internet marketer. Want to get more exposure for your business, more leads and make more sales online? Get FREE access to John's 'Online Business Resource Report' by clicking here.